Whilst temperatures are dropping outside, we start to consume more and more tea. Which is understandable as the good old cuppa is so much more appreciated in the colder months. Without a doubt tea is Britain’s favorite despite the fierce competition from coffee. And thank god for that as tea is a healthier choice. 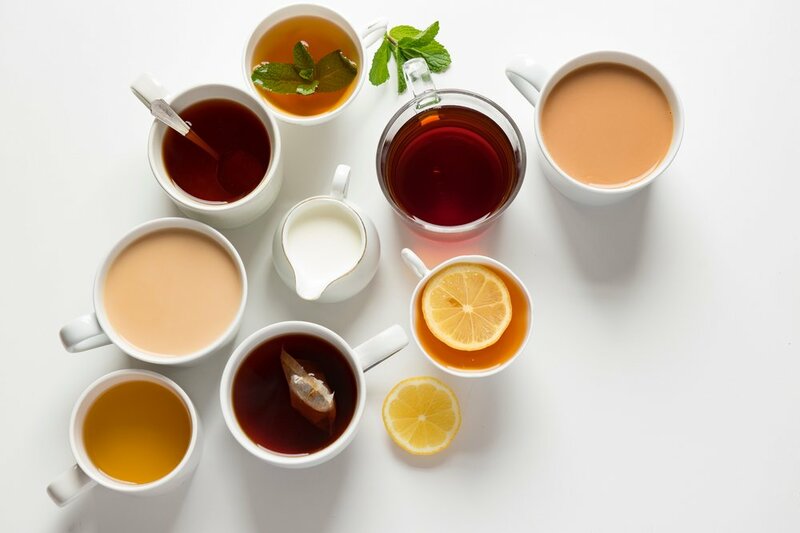 Regular black tea might be most popular but it’s just one of many options available as green, white and oolong teas are also favored (all brewed from the same leaf as black tea just processed differently). For a number of good reasons, there is one more tea variety that is rising in popularity, it’s the herbal teas. And we not talking here just about the widely known herbal teas such as: calming chamomile or stomach soothing peppermint. There are plenty of others that are worth exploring. Why? Well let’s find out. Very useful in autumn and winter as it is said to not only prevent but also shorten common cold and lessen the severity of its symptoms. Since echinacea helps to boost immune system, it can play a vital role in fighting off viruses and infections. We cannot guarantee that echinacea will protect you from cold however this herbal tea will help to relieve sore throat or stuffy nose. The leaves of the rooibos have been used for medical purposes for ages, despite the little research confirming their effectiveness. According to one study rooibos tea is beneficial for bone health. Another study has claimed it can even prevent heart disease. Although more research needs to be conducted, the preliminary evidence is quite promising. Lemon balm tea is said to have numerous health promoting properties. These include: increasing skin elasticity, reducing risk of heart disease and improving high blood lipid levels. Apart from those, studies have found that the lemon balm can lift mood and reduce stress. Taking everything into account it’s really worth a try. Hibiscus tea is rich in both color and flavor. Various studies claim its different health benefits, one of them is a positive effect on blood pressure. Some studies say that drinking hibiscus tea can help lower high blood pressure and fight oxidative stress. Its worth noting that you should avoid taking aspirin whilst having a cup of hibiscus tea. (as the tea may shorten its effect). Yes, you might argue that those are not true teas as they are made from fruits, flowers, herbs and spices. However, it’s worth to give these a try as their health promoting properties and great taste might surprise you. And beside that they are a great alternative to a regular tea if you fancy something different.